This one bedroom getaway is dressed in an authentic western fashion. With it's impressive vaulted ceilings and cozy fireplace it is the perfect place for a small family or a few close friends. There is a loft accessed by a ladder with a queen size bed along with a folding futon in the living room that will sleep one as well. The master bedroom also has a comfy casper queen size bed and the only bathroom is accessed through this room. The deck showcases an unparalleled view of Lone Peak along with the North Fork creek where a few local Moose call home. There is a picnic table, grill and hammock to lounge in after a satisfying day of golf or skiing. If your body is sore, enjoy a soak in the silver bow complexes hot tub, there is also guest laundry access in this building. In the winter the homestead is only 10 steps away from Lone Mountain Ranches impeccable lower cross country ski trail system. 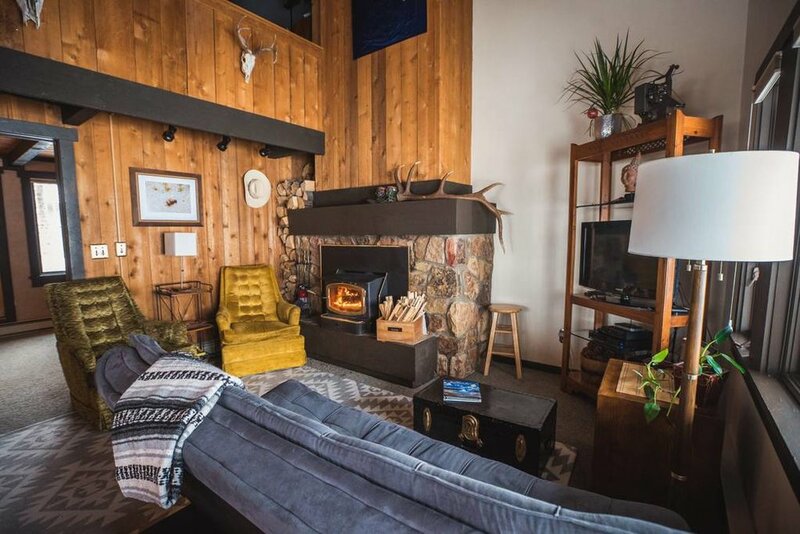 If your fancy is lift accessed skiing at Big Sky Resort, the free public transit stop to the resort is a quick 5 minute walk from the condo or a 15 minute drive up the mountain. For summer guests we are a stones throw away from the Big Sky Golf Course Clubhouse and Bunker Bar. Tell stories from the day around a home-cooked meal in the modest kitchen and dining area. With Lone Peak views out the dining windows, this location is sure to inspire the next days adventure in Big Sky Country!